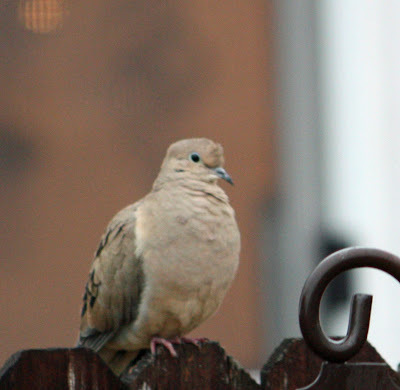 A mourning dove perched for the morning. They seem like grey-colored birds from a distance, but they have variations in color, as seen on this one. They make sure nice sounds.